W.W. Clyde & Co. has an extensive history of constructing and installing large diameter pipeline, despite the numerous challenges that often accompany this type of work. What can we say, we love tough projects.This includes understanding the variability of ground conditions over long distance installations, pipeline clearance, tie-in to existing pipeline, appropriate trench shoring/shielding, and beyond. The Company also has experience building other water-based systems, including: large scale aqueducts, water tanks and irrigation systems. From stormwater trunk lines to culverts and detention ponds, W.W. Clyde & Co. has the expertise necessary to efficiently and appropriately carry-out a variety of drainage projects for your job site. 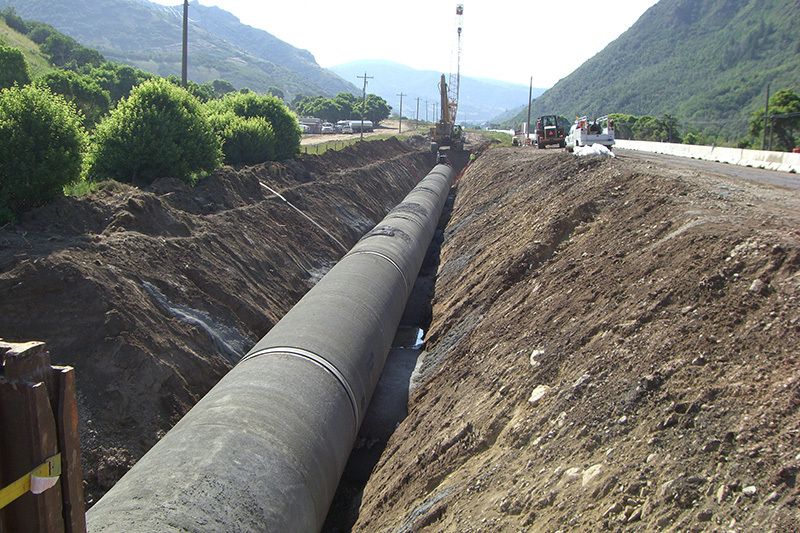 Browse some of our pipeline & culvert projects in Utah below.